When From Software announced at E3 that its next game would be published by Activision, the industry raised a collective eyebrow in curiosity. Although they may seem like odd bedfellows, given each company's respective strengths the collaboration is unlikely to be anything other than a success. The acclaimed Japanese developer has built a large and dedicated following with its line-up of dark and notoriously difficult titles -- from Demons' Souls to Bloodborne -- that have been lauded as some of the most artistically accomplished games of the past decade; a trend it seeks to continue with Sekiro: Shadows Die Twice. Activision, meanwhile, has primarily focused on producing chart-topping blockbusters like Call of Duty and Destiny, or more family friendly titles like Crash Bandicoot N. Sane Trilogy and the now defunct Skylanders franchise. It's hard to see where a company like From Software, with its particular brand of difficult, atmospheric, and often distressing games fits into the Activision pantheon but, as producer Robert Conkey told GamesIndustry.biz at Gamescom this year: "When From Software knocks on your door and says 'hey, we wanna make a game,' you have only one answer right?" It speaks to the pulling power that a developer like From Software has at its disposal, despite its relatively small size. While games like Dark Souls and Bloodborne have risen above the cult status of president Hidetaka Miyazaki's early work on Demons' Souls, they aren't exactly the multi-billion dollar properties that usually ignite Activision's interest. What's more curious still is that From Software opted not to continue its relationship with Sony, despite having enjoyed considerable success with both Demons' Souls and Bloodborne developed exclusively for PlayStation. The same goes for the studio's relationship with Bandai Namco which secured the lucrative publishing rights to the Dark Souls franchise, spinning it out into three games, several batches of DLC, comics, merchandise, and even a board game. "We're obviously providing them with a number of resources... We know how to take big games to market. 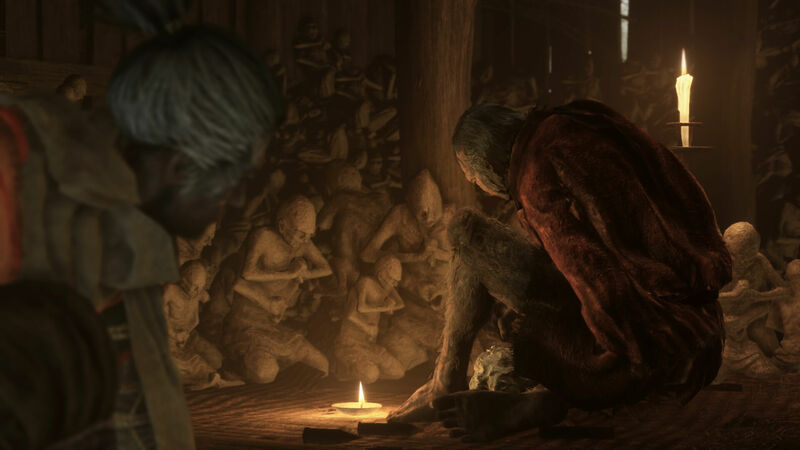 We know how to publish and market these games in the Western market"
"So initially when we had this project proposal we took it to a number of companies," explains From Software community manager Yasuhiro Kitao. "We don't have the clout to publish outside of Asia and Japan, and so Activision was one of the companies we approached and one of the companies who said they would like to talk. "And they absolutely loved the idea; they loved the project right from the start. They really respected our vision, and also along the way they were able to provide user testing and feedback that we simple can't handle so it was really beneficial." When previously asked about the extent of Activision's involvement with the project, Miyazaki has stated that From Software handles everything after the start screen, and it was a stance that Conkey echoed during the interview. Activision marketing director Michelle Fonseca added: "We're obviously providing them with a number of resources. Whether its financial or just the infrastructure that we have. "We know how to take big games to market. We know how to publish and market these games in the Western market, and in the eastern side... so using these resources helps to get the game in as many hands as possible and that's what we're here to do for these guys." But given the gulf of style between From Software and Activision, it raises the question if this marks a departure from the status quo for the publisher, and whether it will begin exploring more experimental and artistic projects in future. While Activision staff present during the interview remained closeted on that front with their carefully curated answers, Fonseca said: "This is rounding out our portfolio in a new and interesting way, and I think we're going to take back learning from it, and then we'll see."